Leading Manufacturer of peb purlin, cee zed purlin and c z purlin from Sonipat. Our organization is engaged in supplying optimum quality Peb Purlin. Designed using the finest quality raw material and cutting-edge technology under the vigilance of our experienced professionals, this purlin is used to support the roof panels of the structure or buildings. Owing to its excellent efficiency, offered purlin is available in various designs and sizes for our clients to choose from. We are actively engaged in supplying an excellent range of Cee-Zed Purlin. Available in varied sizes and specifications, offered purlin can be used in a traditional steel framing manner. In adherence to set quality standards, this purlin is designed by our adept professionals using top notch quality raw materials and innovative technology. Being a client-centric organization, we test this purlin on diversified parameters in order to ensure its trouble free functioning. 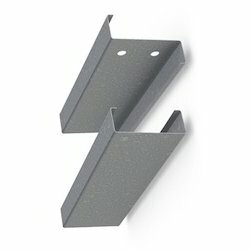 Being a well-established-organization, we are engaged in supplying a distinguished range of C Z Purlin. Manufactured using the finest quality raw materials and cutting edge technology under the guidance of our adroit professionals, this purlin is used for various purposes including as a flooring system, as structural steel in lightweight buildings and billboard posts. 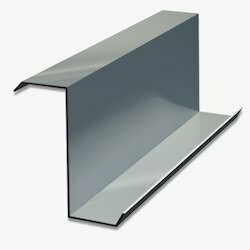 The provided purlin is widely appreciated for its unique features like close tolerances and ability to span long lengths.